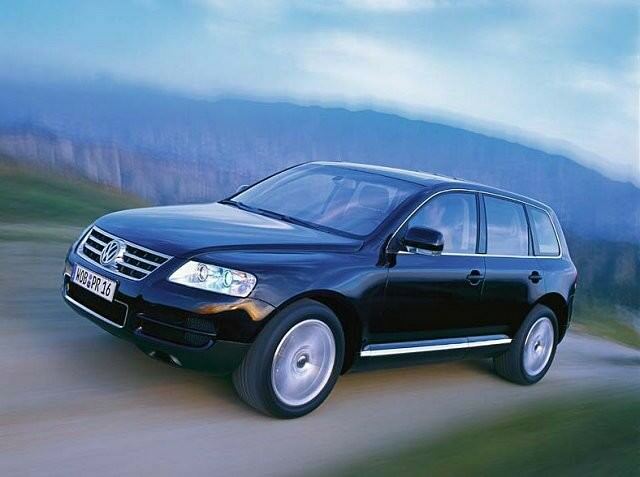 The Touareg was conceived when Volkswagen was keen to conquer the world and move its brand upmarket. Along with the Phaeton luxury saloon the Touareg explored new territory for VW when it originally arrived in 2002 and with four-wheel drive it was adept at just that. Named after a North African tribe VW’s big off-roader shares much of its underpinnings with the Porsche Cayenne, and competes against everything from Toyota Land Cruisers to the Range Rover. Volkswagen absolutely threw money at the development of the Touareg off-roader and it shows inside and out. The interior shares much with the Phaeton luxury saloon - with many parts deemed of high enough quality to feature on VW’s super luxury brand Bentley. That means an interior of unusual quality, that’s able to compete with the best from Land Rover and others. Replaced by an all-new model in 2011 the original Touareg ran for nine years from 2002 to 2011, over that period the engine choice changing little throughout its production cycle. VW offered plenty of engine options too, from the faintly ridiculous (and very rare) 450hp W12 12-cylinder 6.0-litre petrol engine to the similarly mad V10 turbodiesel with its incredible pulling power. More sensible are the smaller V6 petrol and turbodiesel engines. The petrol was originally introduced in 3.2-litre capacity and replaced by a 3.6-litre unit in 2006, while the 2.5- and 3.0-litre turbodiesels were offered throughout the Touareg’s entire production cycle. Unsurprisingly it’s the two smaller diesels that make up the majority of the sales. Specification levels are high in all, and even entry-level cars are fitted with air conditioning and alloy wheels. There are plenty of commercial 2.5 TDIs out there, but a 3.0-litre V6 TDI passenger version with all the seats and in SE specification fits the bill as a fine used purchase. Decent economy combined with good performance and plentiful equipment in its high quality, comfortable interior. It still looks good, and drives well too, and makes a change from the more common Japanese and British competition from Toyota and Land Rover.